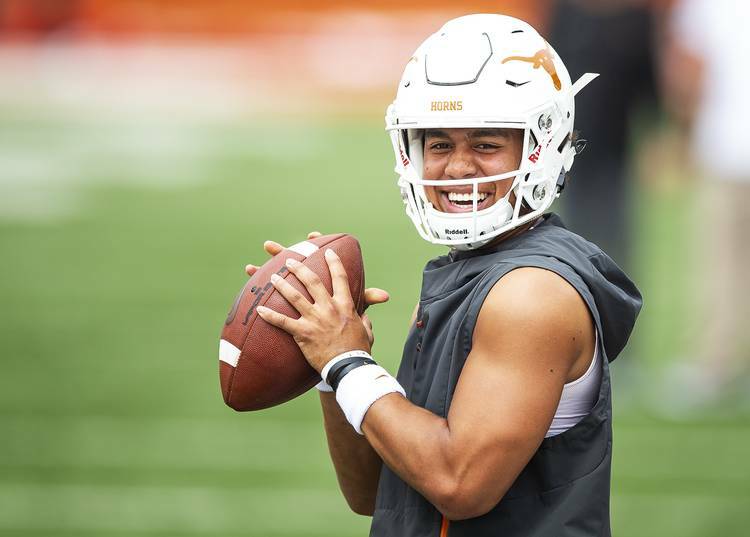 Texas freshman quarterback Casey Thompson has told coaches he plans on staying with the Longhorns instead of transferring, a team spokesman said Saturday. I thank you for patience…. Thompson put his name into the NCAA transfer database alongside fellow freshman quarterback Cameron Rising in mid-December. Rising announced on Thursday that he was transferring to Utah. By keeping Thompson in the fold, Texas coach Tom Herman is probably breathing a sigh of relief about the quarterback depth. Junior Shane Buechele put his name into the NCAA transfer database this week and is seeking other places. He could likely remain with UT through spring drills and then leave in May as a graduate transfer, although neither Herman nor Buechele has commented publicly about the athlete’s plans. Rising, who was pegged as the third-stringer behind Sam Ehlinger and Buechele, left after redshirting this season with the Longhorns. He will have to sit out one season, per NCAA transfer rules, and then have three years of eligibility remaining. Just by staying put, Thompson moves up the depth chart and could possibly rank second overall when August practice begins. Freshman Roschon Johnson, an early enrollee, is also expected to compete for the backup job.